Palestinian Authority officials say US agreed not to move embassy to Jerusalem. The Arab newspaper A-Sarak Al-Awast quoted a Palestinian Authority official as saying US President Donald Trump had told the Palestinian Authority he would not move the US Embassy to Jerusalem. The report also said all plans to do so had been frozen. PA official Ahmad Majadlani said the US had understood their hints and would not revisit the topic in the near future. 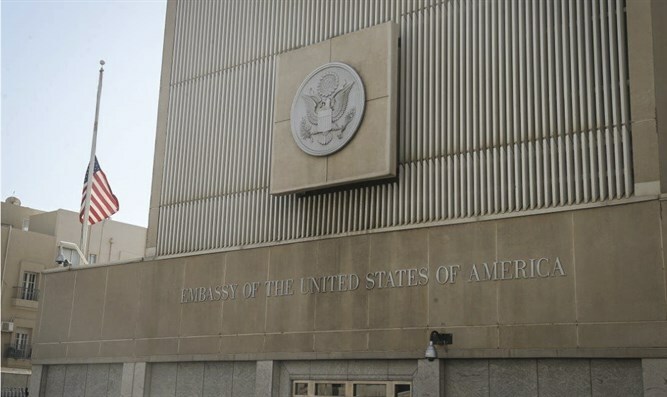 Earlier this week, White House Press Secretary Sean Spicer told reporters no decision has been made yet regarding moving the US Embassy from Tel Aviv to Jerusalem. PA Chairman Mahmoud Abbas and PLO leader Saeb Erekat met US consul in Jerusalem David Blum separately in their Ramallah offices.